Easter cake* in the shape of a dove, the symbol of peace. 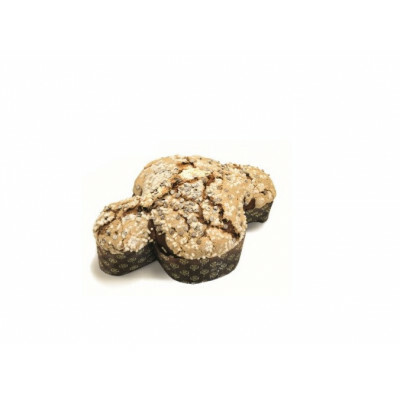 Soft and moist inside, enriched with delicious chocolate drops and with a granulated sugar crunchy topping, is perfect to enjoy uniquely Italian traditions for Easter. The mixture is prepared with fresh ingredients and it is left to rise naturally, carefully following the traditional recipe. This chocolate colombina is a must at Easter time but it is perfect for any occasion. You can enjoy it for a delightful finish to a meal or as a delicous snack.